Though I didn’t really plan it, this week saw many old favorites! Day One 5/1/15: Colette Monetta hack. I added a color blocked waistband and cowl neck to the basic pattern. Day Two 5/2/15 : Colette Monetta straight from the package. I wear this dress a LOT. Day Three 5/3/15: Colette Monetta deja vu. Worn at Biltmore Estate to see the Dressing Downton exhibit! 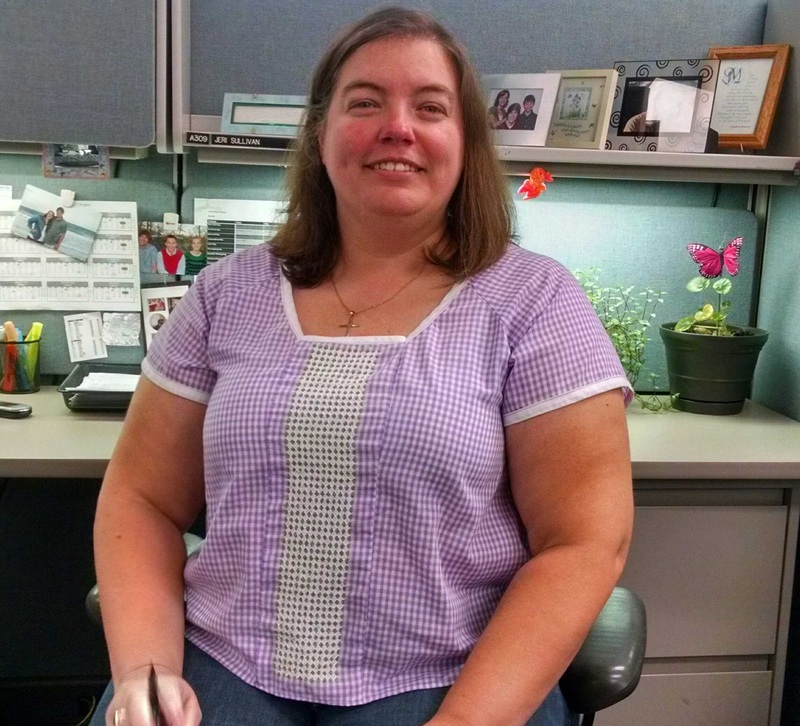 Day Four 5/4/15: Kate and Rose Patterns Roza blouse. Added gingham lace embroidery to the front. Day Five 5/5/15: Colette Oslo cardigan. 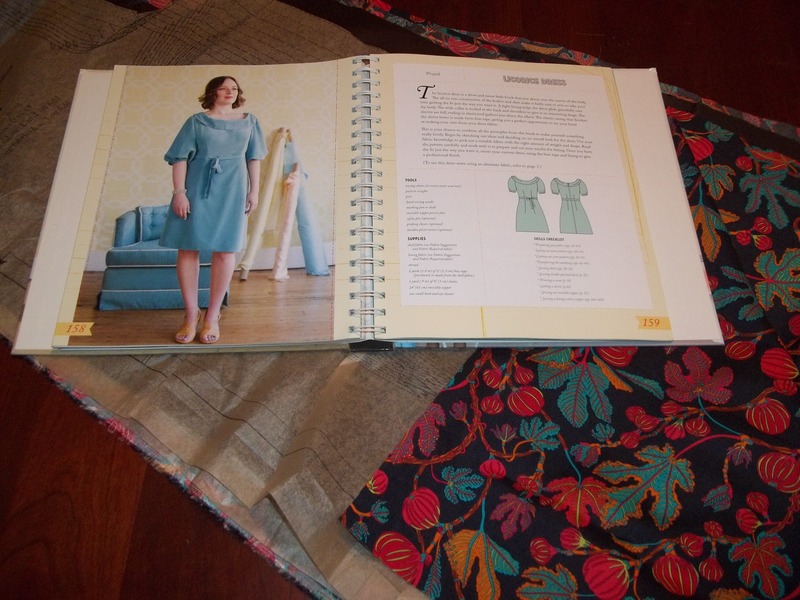 This is from the December 2014 issue of Seamwork Magazine. Day Six 5/6/15: Cake Patterns Cabarita top. Originally made for July 4th baseball viewing but I typically wear all summer. Nothing new this week but everything I wore is much loved. How did your first week of Me Made May go? Posted in Challenges, Embroidery, Indie Pattern, Me Made May, Sewing and tagged anna maria horner, Biltmore Estate, cake patterns, challenges, Colette Monetta, colette patterns, kate and rose, me made may, mmm'15, seamwork magazine, sewing, sewing cake. Bookmark the permalink. This was my first year participating in the One Week One Pattern challenge and I must say it was nice to wear some clothes that are not in my normal rotation. 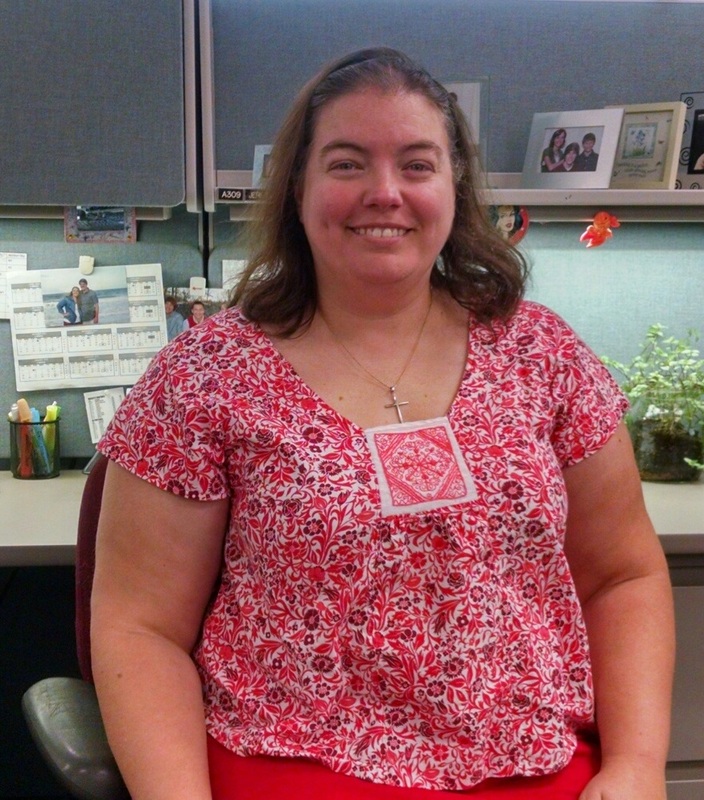 I chose to wear my Roza tops from Kate and Rose Patterns. I ended up wearing four blouses on five separate days. 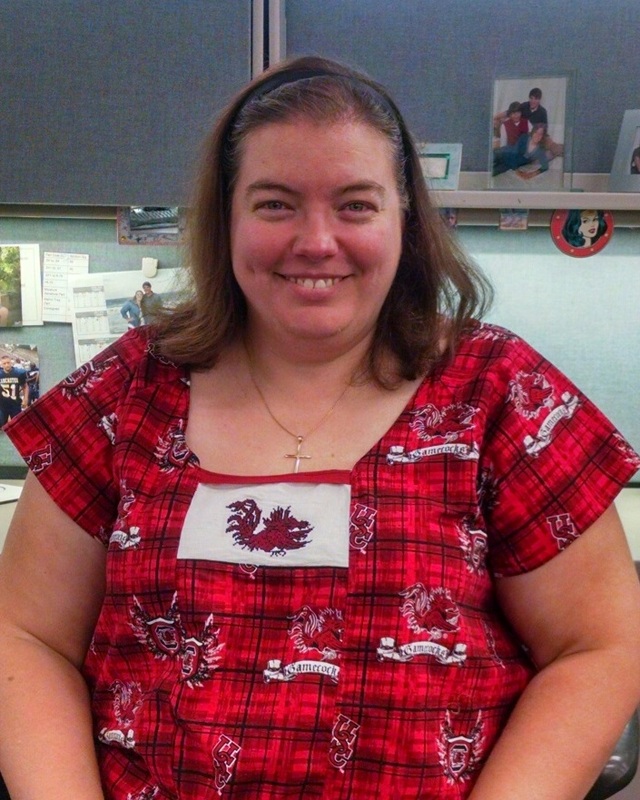 Day 1 (Saturday 9/6) & Day 7 (Friday 9/12): I wore my University of South Carolina Roza. It is football season after all! Day 4 (Tuesday 9/9): I wore my Birthday Roza. 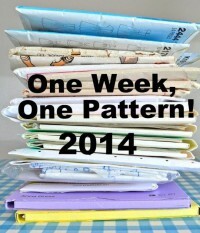 This pattern is such a great starting point for all kinds of creativity. I recently developed an interest in smocking so I think my next Roza may incorporate that technique. Thanks Jane for coordinating the challenge. Can’t wait until next year! Posted in Challenges, Embroidery, Indie Pattern, Sewing and tagged challenge, chicken scratch embroidery, depression lace embroidery, gingham lace embroidery, indie pattern, kate&rose, roza, sewing. Bookmark the permalink. My favorite pattern of 2013 was the Roza pattern so when Kati of Kate & Rose asked me to review her new pattern, of course I said “YES”! For those unfamiliar with Kate & Rose, this is an independent pattern company based in New York that specializes in Hungarian embroidery motifs. Kati, who grew up in Hungary, is the mastermind behind the company and her desire is to preserve the beautiful handwork by inspiring new generations to embroider. 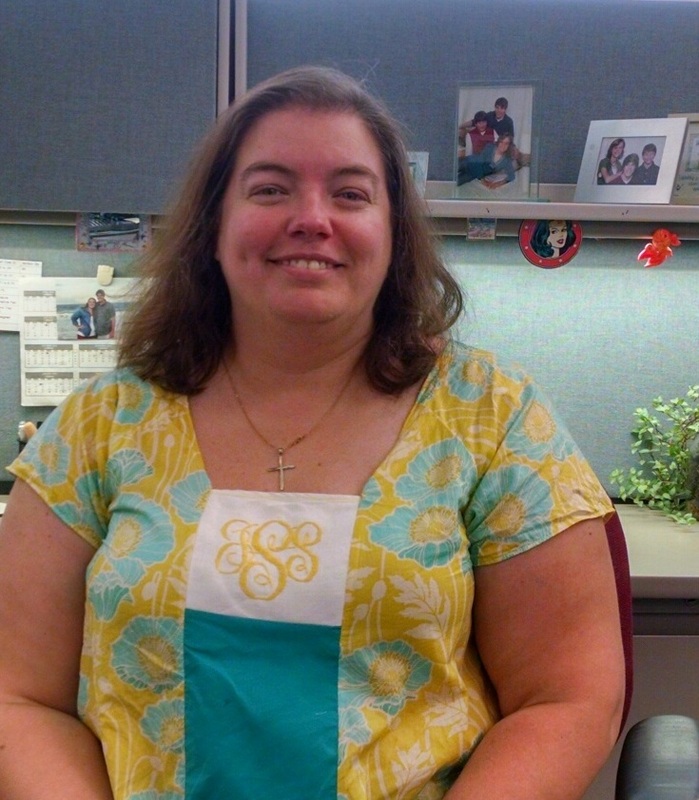 Her latest project is hot iron transfers. She sent me a package to try and I must say they are wonderful. I am a big fan of iron transfers and love trying new designers. Since I am impatient and don’t want to have to pull out my light box and trace designs when I am ready to sew iron transfers work well. Kati sells 4 different designs and the one I chose was Faraway Garden. Each package comes with a 12″ x 18″ transfer sheet and instructions. Though the instructions recommend transferring to light fabric, my rebellious side kicked in so I chose to use dark red fabric. I had no issues with the image transferring and was able to iron the design twice with no problem. If I had used a light colored fabric I would be able to transfer three or four times before the design became too light. After transferring the design, I opted to use white thread instead of the traditional multiple colors. My main reason was so the napkins could be used for both Valentine’s and Christmas. One of the nice things about these designs are the multiple sizes. Some are intended for borders or to be used down the front of the Roza blouse while others are suitable for single motifs. 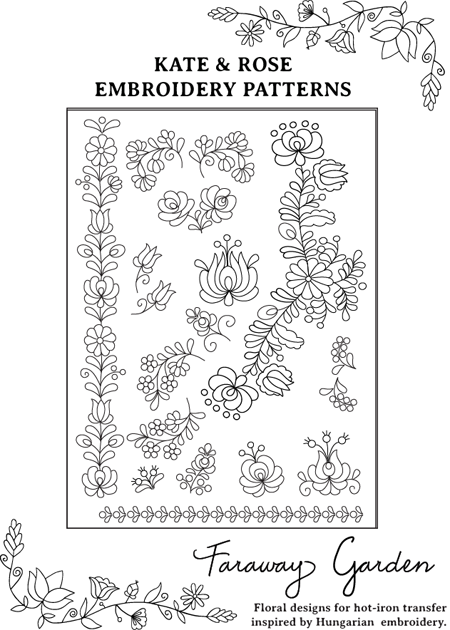 The instructions include information on how to transfer the designs as well as how to sew each embroidery technique. The design I chose used both stem and satin stitch which were easy to master. 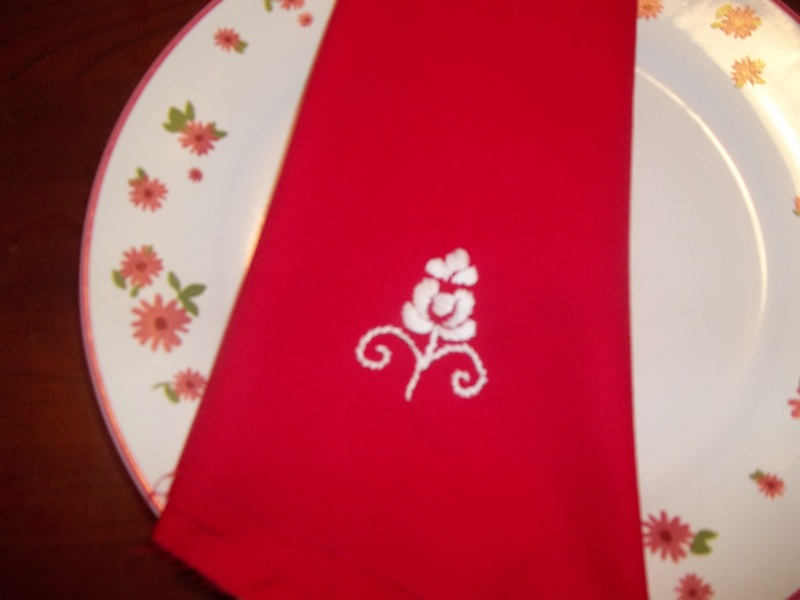 I love how these napkins turned out and my next project is going to be a simple a-line skirt with an embroidered border! As a thank you for reviewing her pattern, Kati graciously offered a couple of patterns for my readers to try. Please check her shop and post a comment about which of these patterns you like best and I will randomly choose a winner next weekend. Posted in Embroidery, Giveaway, Indie Pattern, Sewing and tagged embroidery, giveaway, hot iron transfers, hungarian motifs, kate&rose, sewing. Bookmark the permalink. Just a quick update to announce the winners of my recent giveaways. Please send me an email with your mailing address and I will get your items in the post! Congratulations go to cathynd95 who is the recipient of 8 balls of St Tropez Gedifra yarn and ebonierika who is the recipient of 4 vintage patterns. I can’t wait to see what you make! I also wanted to thank everyone who voted in the Miss Bossy Patterns challenge. There was a tie between two patterns for several days but shawnta715 finally put Simplicity 2017 over the top with 47.62% of the votes. I hope to do this pattern and fabric proud! 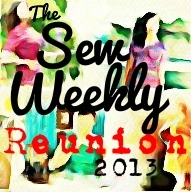 Posted in Challenges, Giveaway and tagged giveaway, sewing, simplicity. Bookmark the permalink. 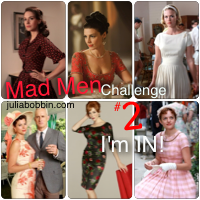 There is a twist on the March challenge over at The Monthly Stitch and I need your help! The normal process is for the collective to vote on the theme then stitch whatever theme the majority chose. 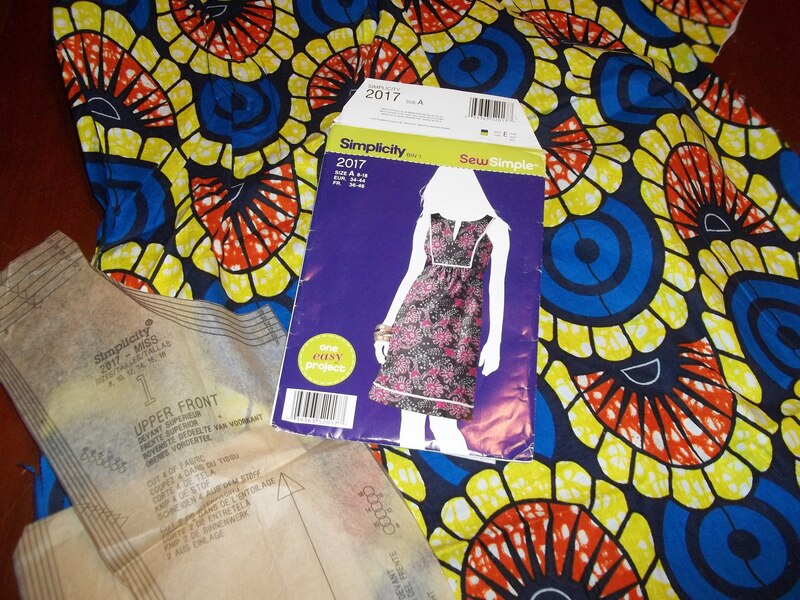 I haven’t had a chance to complete any challenges since my Date Night dress entry for the Frocktober Challenge but that hasn’t stopped me from cutting out the dresses and getting them ready to stitch. 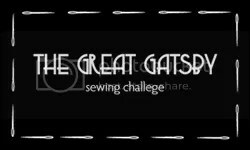 This month requires each sewist to have their blog readers choose between three patterns in their stash that are new to them. I have A LOT of patterns I haven’t sewn but actually want to complete one of my never sewn “hibernating” projects so my March Monthly Stitch entry will be one of the following. Please post a comment and let me know which one you think I should stitch up for the challenge and the pattern with the most votes will be my entry! First up is Vintage Pattern 9387 which is a sleeveless, princess seamed dress that I originally intended to make for the September Vintage Patterns Challenge. 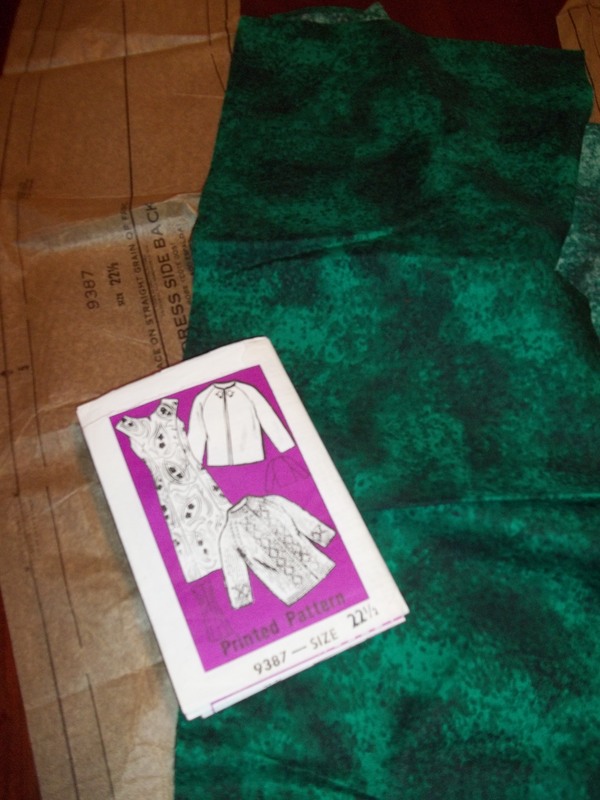 I chose an emerald green marbled fabric and have all the pieces cut and ready to sew. The second option is the Licorice dress from Colette Patterns Sewing Handbook and was supposed to be my November From a Sewing Book Challenge entry. The fabric is the lovely Liberty of London Tana Lawn Alma in black and red. This one is also cut and ready to sew. The final option is Simplicity 2017 which is a sleeveless shift dress with a square yoke. The fabric was a prize from Anneke of Annette Tirette. This fabric is an African wax print and should suit the pattern quite nicely! Posted in Challenges, Indie Pattern, Sewing, Vintage Finds and tagged challenge, colette patterns, giveaway, licorice, monthlystitch, sewing, ufo, vintage pattern. Bookmark the permalink. 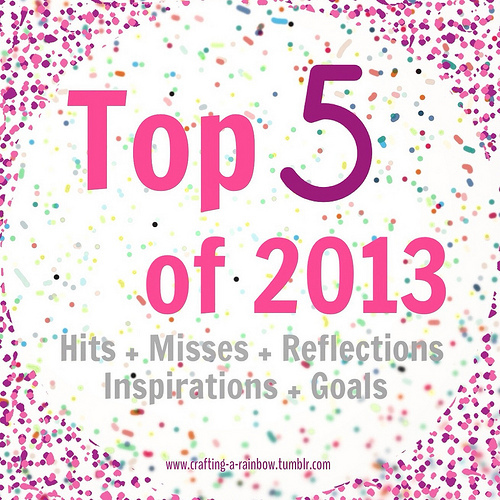 Goals: My goals for 2014 are probably similar to many sewists and crafters out there but it never hurts to list them! Work from my stash! I have only been knitting and sewing since 2011 but the stash is TOO big. I would like to be able to enjoy the process without feeling overwhelmed with clutter so this year I plan to get honest with myself. If I truly don’t think the fabric or yarn will get used, then it is going to charity. Otherwise, there will be a concrete plan to use it up in 2014! Complete a quilt. 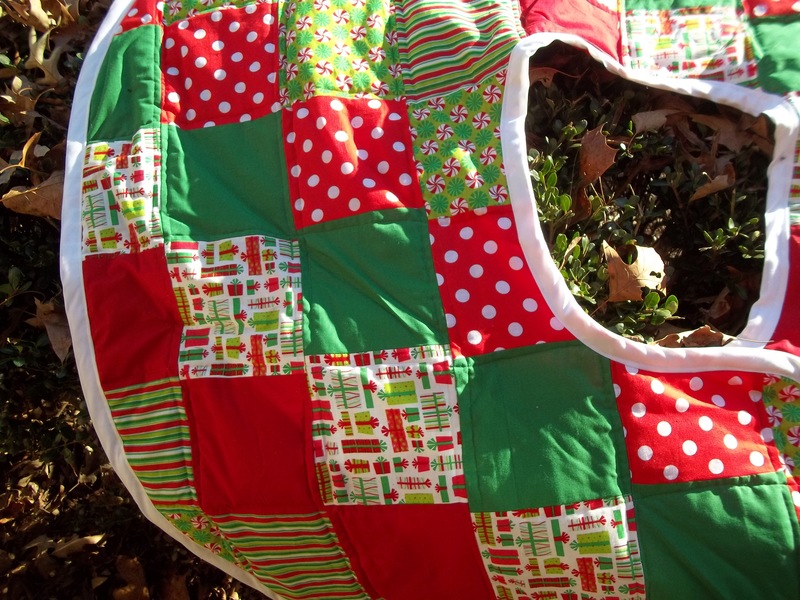 I finished a Christmas tree skirt and loved the process. This may also be a good way to use my stash. Get my “startitis” under control. I have a bad habit of starting too many projects and never finishing them. Learn how to knit cables. I love the fisherman style sweaters but have not ever attempted cables. Learn how to line a garment correctly and learn some new sewing techniques. I have a couple of UFOs that need lining so it would be great to learn AND complete them! Posted in Challenges, Knitting, Quilting, Sewing and tagged knitting, quilting, sewing. Bookmark the permalink. Continuing from yesterday’s post, today I have my reflections and inspirations. Reflections: 2013 was a good year for expanding my skills. I not only completed my first quilted item, I took part in many sewing challenges. 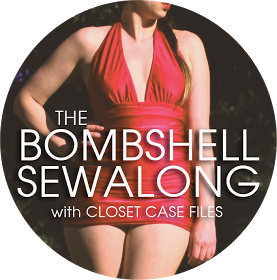 For me the challenges provided an outlet for learning how to correctly install an invisible zipper, sew a hem by hand, successfully draft a pattern, and even how to sew a swimsuit! Roisin from Dolly Clackett. Her sheer number of dresses is inspiring and her sense of humor is wonderful. I think Roisin’s fabric choices pushed me to buy patterns that make me happy instead of always worrying whether the garment could be worn all the time. Sometimes wearing less often is a good thing because it becomes more special! Abbey from Sew Charleston. She is a relatively new blogger but her photos are charming and her fabric and pattern choices closely mirror mine. Perhaps it is because we are both from South Carolina but “great minds think alike”. Alicia from Posie Gets Cozy. I have been following Alicia for years and the glimpses inside her home and life are wonderful. She often shows knitting and embroidery projects and certainly provides lots of home decor inspiration. Lauren from Lladybird. Most sewists are familiar with Lauren and her mad skills. Her honest personality comes across in her blog and her feisty attitude is fun to read! Lizzy from Sew Busy Lizzy. 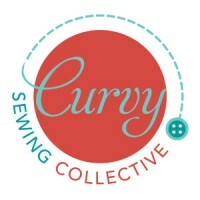 Lizzy is both a knitter and sewist which makes her blog double inspiring to me. I especially loved her many versions of the Anna dress. It was her blog that pushed me to buy the pattern and discover the By Hand London company. Though my first Anna dress ended up as a miss, the inspiration is still there! 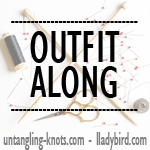 Posted in Knitting, Quilting, Ramblings and Rants, Sewing and tagged blogging, knitting, quilting, sewing. Bookmark the permalink.